Annamaria Marta Furedi used to be a normal girl until a recurring dream almost drove her insane. Every night, she dreamed about her lost brother who was living in another city and whom she or her family never met. One day, when things seemed to be on the verge of getting out of control, she decided to seek help with a psychotherapist through a regressive hypnosis session. 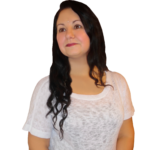 In this interview Annamaria answers questions about her journey, hypnosis, past life incarnations and the moral implications involved. I’d like to ask, how do you see the past life regressive hypnosis and reading methods, which is so popular lately? As to regressive hypnosis there are a couple of pros and cons. With all my experience, my personal opinion is that past life memories should come up naturally as part of the spiritual development. Of course, there are methods to ‘excavate’ them, but they barely do good. Some guru said that while you are walking the road towards God, towards enlightenment, you’ll see trees along the road, these trees bring various fruits. You can sit down and enjoy them, or you can leave them untouched and move on, it’s up to you. The ability to remember the so-called past life memories is one of the fruits. When you have reached a certain high level of consciousness, they return to you automatically. And for that time you will be armed with the necessary knowledge and experience to use them, to understand them and to value their impact. If you have these memories earlier than you are mature, they can cause trouble and confusion. It’s like on your first day in kindergarten you would claim your PhD. You may even get it, but you won’t have the knowledge and the skills to handle it, let alone understand it. On the other hand, bringing back some of the past life stuff may quicken your spiritual development, this depends on your attitude. You can throw them away and live like you did before. Or, suddenly you may want to grow up to them, to be able to cope with them. This can be a motivation for development, and then it’s great. It’s also good if you can find a clever therapist who helps you to heal a certain trauma with positive affirmations. Any educated and successful one is in material life, spiritually, 99% of the people are like babies and newbies. This is why normally I try to dissuade them from trying to tackle past lives, they’re just not ready. Of course, nobody likes to hear this, in this modern world we want to get everything right now, but the soul is not to be commanded like that, it won’t obey. It needs the time and diligence, it needs regular and humble practice of being loving and kind, it needs the effort to go towards perfection, to let the godly qualities we all have inside shine through. And then, one day, your memories will come back to you naturally. Is it hard tuning on the events of a certain incarnation? No, normally not, it depends. It’s mostly about placing my focus there, into a certain moment. Some of the memories can be evoked easily while others are harder to access. Difficulties appear when the ‘searched’ event or moment is emotionally problematic and activate a painful sentiment felt in that time interval, like shame, anger, helplessness, intense and anxiety. And the time factor, the memory’s distance in time is also important. Far things tend to trigger lower emotional reactions, they are shadier, and one can view them more neutrally. This is my general observation, but there are always issues that vary. Sure. It happened that one of a fairly distant memory caused me hardships when I tried to reveal it. It was actually a memory of being in a prison, waiting to be executed. I couldn’t recall what exactly happened, how I died, though I tried real hard to find it out. Then, during a meditation the solution came to me. When I sat down to meditate next I asked the assistance of the one who murdered me there to show me his memories on the events. I got his permission and I could see the whole thing through his eyes, perceiving his emotions – it was sweeping anger. I instantly understood why I couldn’t recall it myself: I was barely conscious of what was happening, and it was too gruesome to explain or to remember. Wow, amazing. Do you feel responsibility in general for your past actions? Yes. Especially about lives when I was a leader. Leaders and particularly rulers are always accountable for the well-being of their people, in every sense. This is a law. Every teardrop that falls because of your deeds or failures becomes your karmic debt, it returns inevitably. And as a leader all your actions are magnified and viewed more critically than that of the average people. One can create very heavy karma while being in a leadership position. Can you forget? Can you forgive? I do my best to forgive, but one has to forgive again and again as time goes by. As to forgetting, I don’t wish to forget anything. Re-evaluation of memories is the key to feel better, and not the complete denial of the past. At least, this is how I see it. What is your relationship like with those you managed to identify? In general, very close, and loving. I know of a few persons who were my enemies or in a way harmed me, but most of them live far from me, so we don’t have serious conflicts. Plus, many of those you harmed or killed can come to be your partners in following incarnations, a wife or a husband, a parent or something else. From my part, I wish a happy life for all of them. You know, we are part of each other, we are part of those who were in contact with us in the past and there is no use cherishing bad feelings. What is the absolute consequence? Is there any? There are a number of consequences that the stories taught me. The major one is that we are immortal beings. The second is that I have to live more consciously, our hours in our bodies are counted. And it does matter how we spend them. Be an honest and caring person, that’s the best. And do your best to correct your mistakes anytime you hurt somebody, willingly or unwillingly. Be more aware of what karma you are actually collecting: positive or negative. This is vital. Can one take down karma this way, by revealing the past incarnations? No, but it gives a great boost to improve your karmic situation by elevating consciousness. Ideally, it can lead one to re-evaluate life as it is, so that later he or she can make better choices. Did these memories change your life? Absolutely. Knowing that life doesn’t really end when you finish a lifetime will change the very way you look at the world. Did you become more aware, more compassionate? No, I think I was compassionate before as well, even without this. But it helped me to value the possibility of life. And realizing that one is a soul is always a game-changer. What gives you strength in the normal days? That I know I have a goal, something to live for. As long as I feel this way I will be okay. Why did you feel you have to share your experiences? We all have our own karmic issues and even if they are rather unique there are several common traits, and I believe that we can learn a lot from each other. I, for example, read or listen to other people’s stories with great interest. This book is my ‘case study,’ at least I treat the episodes so. They are a huge amount of data and I am working hard so that others may benefit from it too. That’s why I am a member of some healing communities. This book “Protector: Recovering From Memories” and listed on GoodReads as one of the best books on Past Life Regression is my case study’, at least I treat the episodes so. Where do you feel your real home is? The place you belong? A particular land? Oh, I can’t properly tell you. Mainly at the place where my loved ones are living. Most people would answer the same, I guess. I don’t feel that there is a single and easily definable spot on this Earth where I belong. I remember many of my past homes and in a way, I feel tied to them, even today. Did you ever visit them? No, not yet. Nobody’s missing me in those places, and they have certainly changed a lot. It would be sad to see this, the shadows of old days, happy or unhappy. It would be really upsetting, I guess. It’s hard to realize that something that was so solid and obvious disappears fully. This is incomprehensible, this is transience. You know, the illusory nature of the mortal world. As to your ex-families, partners and children, do you miss them? Obviously you do. What would be the best conclusion to share?